Summit Computing Limited was founded by Stephen Bennett in 2009 to offer development of high-quality business software, I.T. solutions, and website design, at affordable prices. We offer a personalised service, and will work with you to create the bespoke solutions that you need for your business. We also provide IT consultancy services including PC, network, hardware & software installation, drawing on over 40 years of IT experience. Summit Computing is now located in Purley in Surrey, and has local and national clients ranging from sole traders to large PLCs. Stephen Bennett has specialised in IT since discovering a friend’s Tandy TRS-80 Model I at age 9, and getting his first computer, a Sinclair ZX81, at age 11. He co-wrote his first commercial application whilst still at Calday Grange Grammar School on the Wirral, and went on to complete his B.Eng. Honours degree in Electronic Computer Systems at the University of Salford, Greater Manchester in 1991. He then joined James Fortune Associates as an IT consultant, software developer and web developer for almost 18 years. During that time, he wrote & co-wrote a number of commercial applications such as the AccountForce accounting and payroll suite, originally in Clarion Professional Developer (DOS), and other products for manufacturing, private investigators, the film & television industry, and many other business sectors, all of which were written in Clarion for Windows. 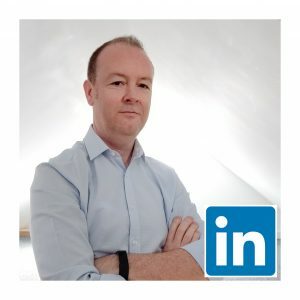 Recent projects include MoveDiary, a fleet management solution for removal firms, as well as a bespoke accountancy practice manager, electrical contractor estimating system, and a number of web applications written in WebDev, PHP/Laravel and cross-platform mobile apps written in C#/Xamarin. Summit Computing also provides sub-contract development for various other commercial products used around the world. Stephen is currently a Committee member and Trustee of Purley OverSeas Trust (POST) – a local charity which raises funds to directly support small-scale projects in the Developing World – and was Chairman from 2014-2018. In what little spare time he has, Stephen enjoys an eclectic range of interests including vintage computing, science and technology, engineering, DIY, gardening, photography, science fiction, cooking, and anything to do with Japan: including travel, food, culture and language (which he speaks, but is far from fluent! ).